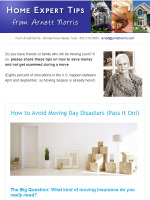 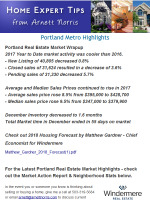 Click below to read local market updates and get my real estate tips and advice. 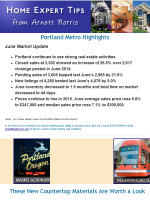 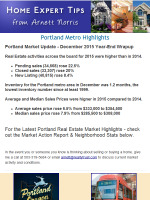 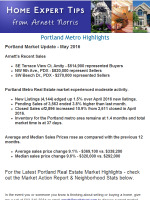 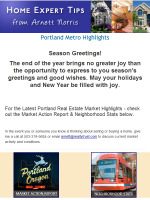 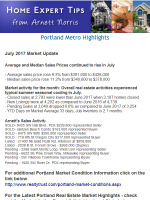 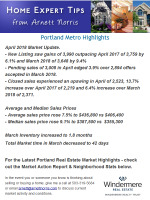 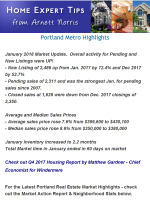 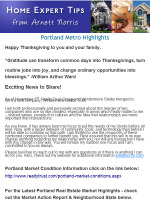 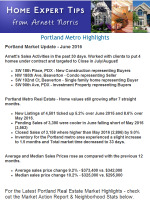 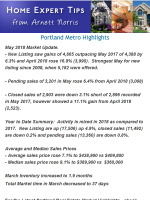 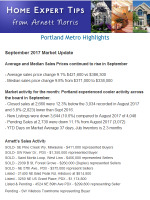 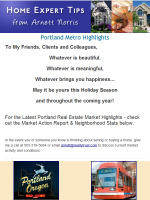 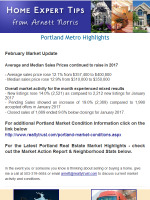 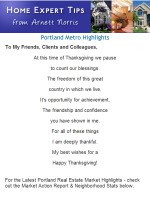 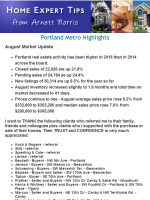 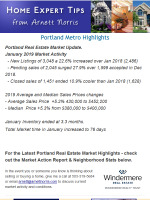 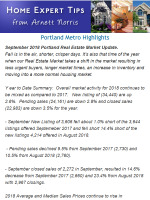 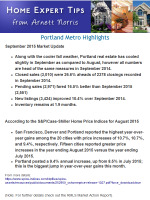 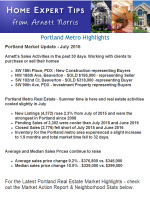 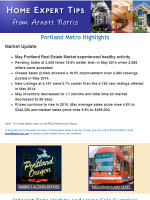 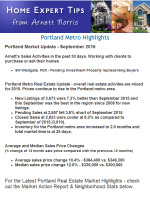 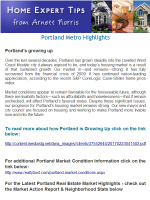 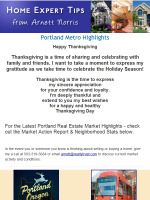 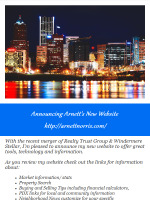 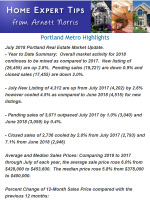 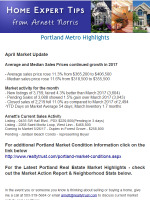 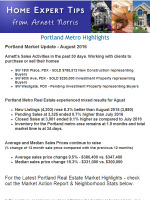 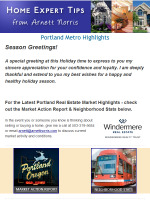 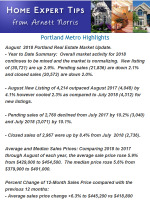 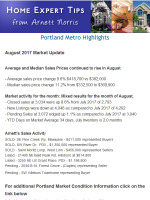 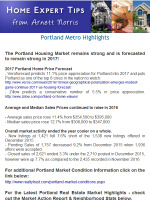 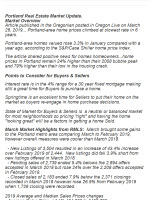 Portland Metro Highlights Portland Market Update - April 2016 Portland Metro Real Estate market continues to enjoy seasonal gains this April. 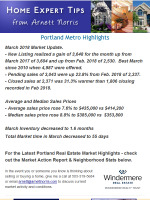 New Listings (4,082) are up 19.7% above the 3,409 new listiings offered in March 2016. 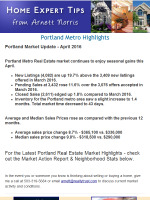 Pending Sales at 3,432 rose 11.6% over the 3,076 offers accepted in March 2016. Closed Sales (2,611) edged up 1.8% compared to March 2016. 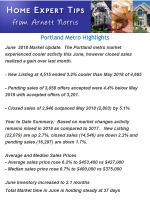 Inventory for the Portland metro area saw a slight increase to 1.4 months. 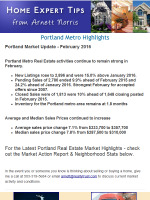 Total market time decreaed to 43 days.